Big data analytics examines large amounts of data to uncover patterns, relations and insights for future decisions. The concept of big data has been around for many years. In the past, it is time consuming to gather information, run analytics and unearth information that could be used for future decisions. With today’s technology, it’s possible to analyze data and get insight from it in short period of time. The most remarkable benefit of big data analytics is efficiency. With big data analytics, we can identify insights for immediate decisions, with cost reduction, faster and better decision and ability to identify new opportunities. That, in turn, leads to smarter business moves, more efficient operations, higher profits and higher customers satisfaction. Data analytics might be useful to different types of companies such as travel and hospitality, health care, government, retail and ecommerce etc. Several types of technology work together to get the most value from the data. Organization should establish a data management program to build and maintain standards for data quality, as the data needs to be high quality and well governed before it can be analyzed. WeSoft can offer consulting services and provide advices to guide our clients in building a data management program. With data mining software, we help our clients to examine large amounts of data to discover the pattern, get the most relevant information to assess likely outcomes and accelerate to get the informed decision. We use open source software framework which can store large amounts of data and run applications. It is a key technology to doing business due to the constant increase of data volumes and varieties, and its distributed computing model processes big data fast. 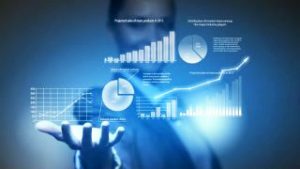 We also do predictive analytics, which use data, statistical algorithms and machine-learning techniques to identify the likelihood of future outcomes based on historical data. It’s all about providing a best assessment on what will happen in the future, so our client can feel more confident that they’re making the best possible business decision. Some of the most common applications of predictive analytics include fraud detection, risk, operations and marketing. Besides, with text mining technology, we can analyze text data from the web, comment fields, books and other text-based sources to uncover insights. Text mining uses machine learning or natural language processing technology to comb through documents – emails, blogs, Twitter feeds, surveys, competitive intelligence and more – to help us analyze large amounts of information and discover new topics and term relationships.